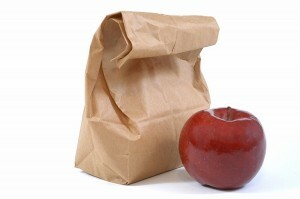 Did you miss this week’s Learn IT @ Lunch session “Getting the most out of Box”? Check out the session slides. Also, check out this Up and Running with Box course in the lynda.com online training library. 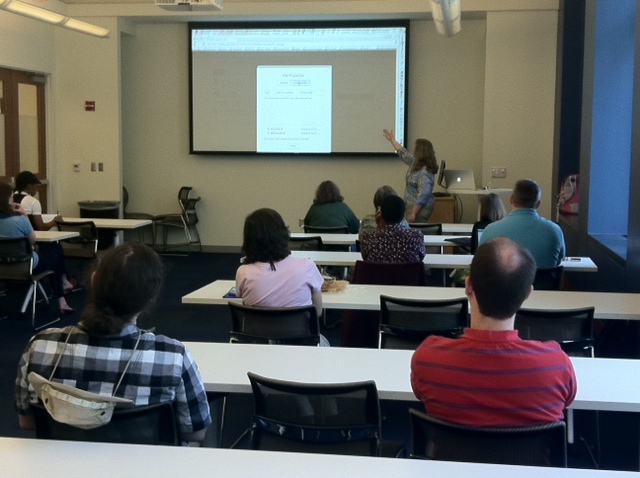 Debrah Suggs (OIT) showing how to create a “dropbox-like” box within Box! April Learn IT @ Lunch – Join Us! Join us for this session to learn how you can effectively use Box from daily tasks to ongoing projects to information collection. See how Box can also work within other environments such as Microsoft Office and WordPress. Also, learn some tips for managing your data as you add more content into Box. Missed today’s Learn IT @ Lunch session: Collaboration Made Easy with Box, check out the session slides. Also, check out the lynda.com online training tutorial “Up and Running with Box“. 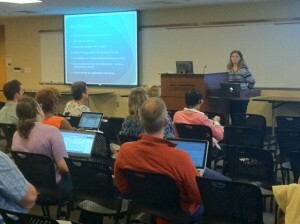 Debrah Suggs (OIT) wows us with ways to collaborate & make everyday tasks at Duke easier using Box! Check out this “Tech Tips” article in Duke Today to learn how Duke faculty, staff and students can use the new Box service to access, store and share content securely and become more productive! Collaboration across campus for students, courses, and staff just got easier. Read how in this recent blog post by Elise Mueller, Consultant from Duke’s Center for Instructional Technology. We’ve all been there, circulating a document via email to get feedback. Now you can eliminate those long email chains and collaborate more efficiently with Duke’s Box using the commenting feature. Comments will help you track discussions around content. You can view and reply to comments through email or on Box Mobile. Expand a file to view its contents. In the comments section of the file page, select Enter a Comment. 2. Enter your comment and click ‘Add Comment’ to add your comment. Mouse over an existing comment and click Reply or Delete. NOTE: you can only delete comments that you created. To learn more about commenting and tasks in Box, visit Duke’s Support@Duke Knowledge Base. Also, be sure to stop by the upcoming Learn IT @ Lunch session “Collaborating Made Easy with Box” on Wednesday, September 17, noon – 1:00 in Room 217 Perkins Library. No registration required. Feel free to bring a lunch. Duke’s Box is a cloud-based storage and collaboration service for all Duke University and Duke Medicine faculty, staff and students. With Box, users can access, store and share content securely with Duke and non-Duke users — anywhere, anytime, on any device. For information about how to get started and log in, visit: http://box.duke.edu/. 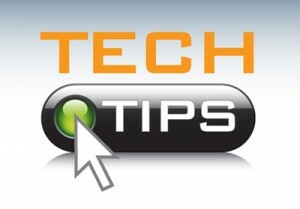 Learn IT @Lunch is designed to be an opportunity to learn about technology in a relaxed lunch environment. Each session includes a presentation followed by Q & A. No pre-registration is required. Seating is available on a first come, first served basis. NOTE: Lunch is not provided. Feel free to bring a brown bag lunch. Beginning this summer, Duke faculty, students and staff can use a new Box service for cloud storage and content collaboration across the university and health system. Read more on Duke Today. To get started, visit: http://box.duke.edu/ (Hint: Watching the recommended video 5 Skills to Get Started Fast to get up and running quickly – its approx. 5 minutes in length). Join us for Learn IT @ Lunch session “Collaboration Made Easy with Box” to be held on September 17, noon – 1:00 in Room 217 Perkins Library. No registration is required. Feel free to bring a brown bag lunch.